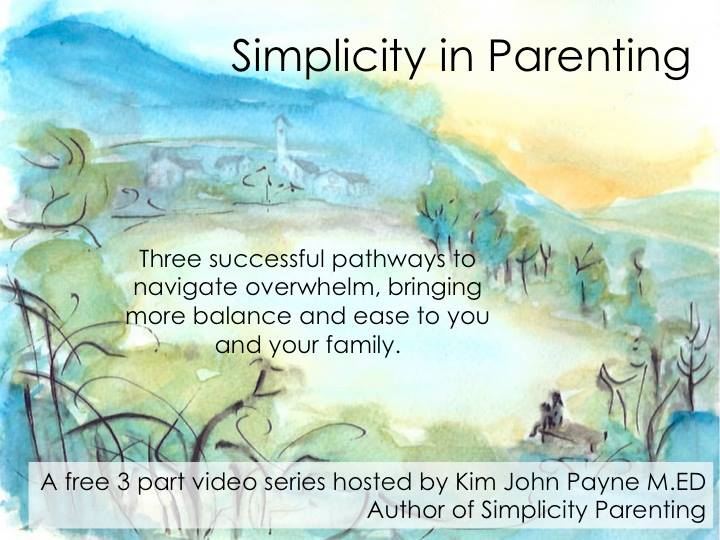 Simplicity Parenting Videos | OFF KLTR! Oh how I love Kim John Payne! Rob and I took the Simplicity Parenting course at the Waldorf School of Lexington three years ago and it changed our lives! Simplifying our home and our schedule changed the course of our young family’s journey – so much for the better. While we enjoyed the course, it is really expensive, and the Simplicity Parenting book contains everything you’ll need to make meaningful changes in your family life! The real benefit of taking the class is that it forces you to carve out time with your partner each month to discuss the book and how to implement the suggested simplifications. The first video has just been released, but it’s not too late to sign up, or invite a friend. We hope that the practical, do-able changes Kim offers in this series will encourage you and provide transformational tools for your own journey to simplicity.